Clockwise from top: chicken with Vidalia and broccoli; housemade sfincione bread; Ossabaw pork with turnips and blueberries; black spaghetti with shrimp and jalapeño. Yes, there is a portrait of a white bull on the back wall, with several vintage Hemingway books surrounded by cigar boxes nearby. But that doesn’t mean diners will make a connection between this ambitious, vegetable-forward restaurant and the troubled author. Aside from some punny cocktail names (see: the Importance of Being Ernest), what is the connection you’re supposed to make? For starters, there’s the fact that Hemingway called the blank page he contemplated while waiting for inspiration his “white bull.” Beyond that, it could be that they both excel at simplicity—though the White Bull, unlike Hemingway, could use a little more editing. Chef Pasquale Pascarella met general manager Gabriele Besozzi, a native of Milan, when they were both working for Ford Fry at the Optimist in West Midtown; sous-chef Pasquale Siciliano used to work for Pascarella in Connecticut. If you didn’t already guess, the three have a strong Italian background in common. Yet they decided not to open an Italian restaurant, choosing instead to serve whatever they feel like in accordance with the seasons. 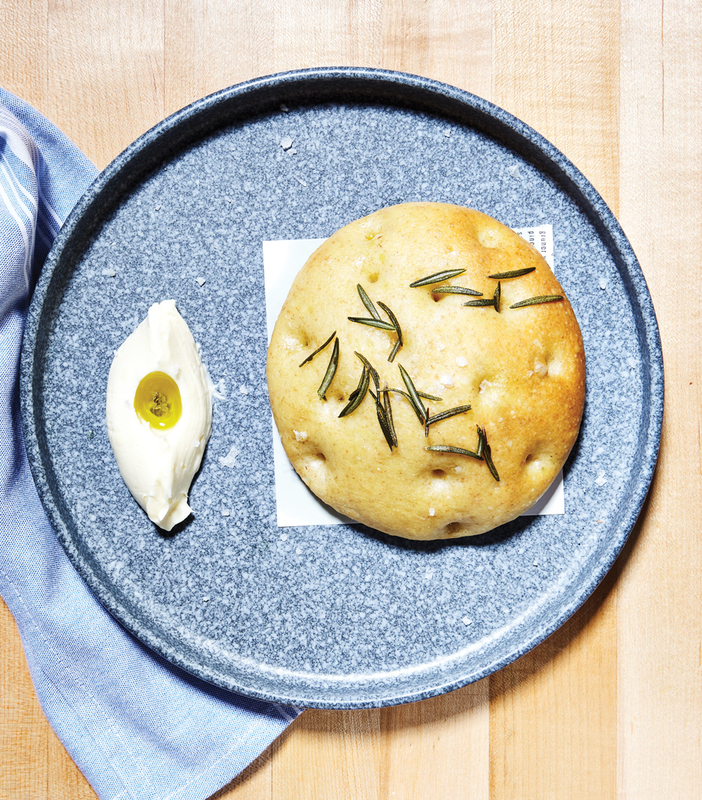 The White Bull takes the concept of housemade to the next level; this is a restaurant that mills its own flour (Georgia red wheat, used for the bread and pasta) and churns its own butter. Ninety percent of the menu changes every day; the only constants are the bread (a charming, flat-but-puffy Italian sfincione) and the intensely delicious chicken livers (a three-day process involves soaking them in milk) served on toast with sauteed wild mushrooms. Educated servers go to great lengths to explain unfamiliar dishes without making the diner feel like a rube, going as far as bringing test tubes of flour to the tables to explain the milling process. The team has forged strong ties to the farming community, creative evidence of which can be found all over the menu. The kitchen captures the fresh bitterness of just-budding collards in a light tempura batter seasoned with Japanese furikake flakes. An entire roasted beet, served whole, is punched up with za’atar and hazelnut tzatziki. A crunchy, herbal, seven-root salad tastes like earthy mysteries. Tiny, delicate gnocchi commingle with a wealth of foraged mushrooms in a dish that smells like a forest. Proteins, which constitute no more than a tenth of the menu, are equally superb. Duck breast sourced from the inimitable family-owned Darby Farm is quickly seared then showered with dewy morels. 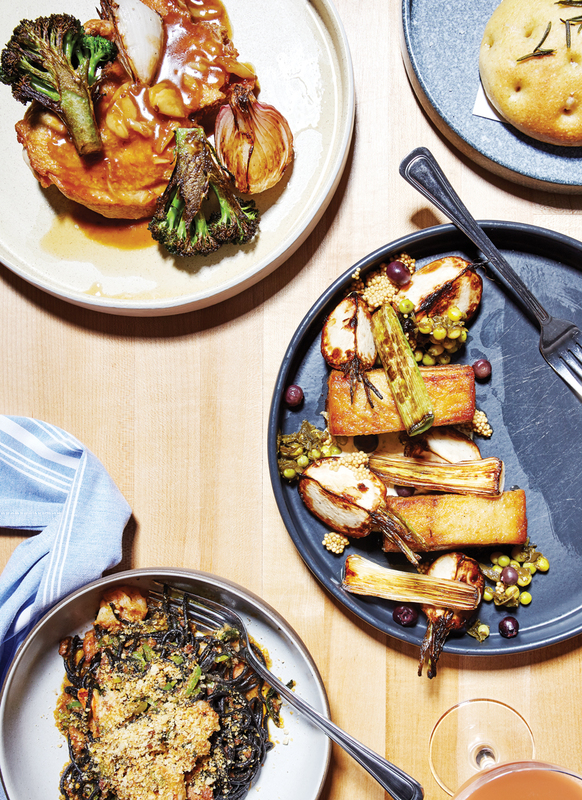 The chef is as deft with massive cuts of beef—shank or short ribs playfully plated with mole and refried soybeans—as he is with delicate Georgia trout, served atop a tangle of baby kale. But for all the effort expended on making the pasta in-house, the result is largely gummy and monochromatic. Perhaps the freshly milled flour is the culprit, giving Pascarella’s creste di gallo, casonsei, orecchiette, and lumache too much texture for the Manila clams or lamb and turnip greens they’re tossed with. The exception is the texturally perfect black spaghetti, which plays well with red shrimp, mint, and fresh jalapeño. Not all desserts are good at the White Bull, but cheesecake rocher rolled in hazelnuts with a chocolate surprise inside and “microwave cake” baked in a sheet pan cake and garnished with lemon curd and dried orange slices compensate for some epic flops. 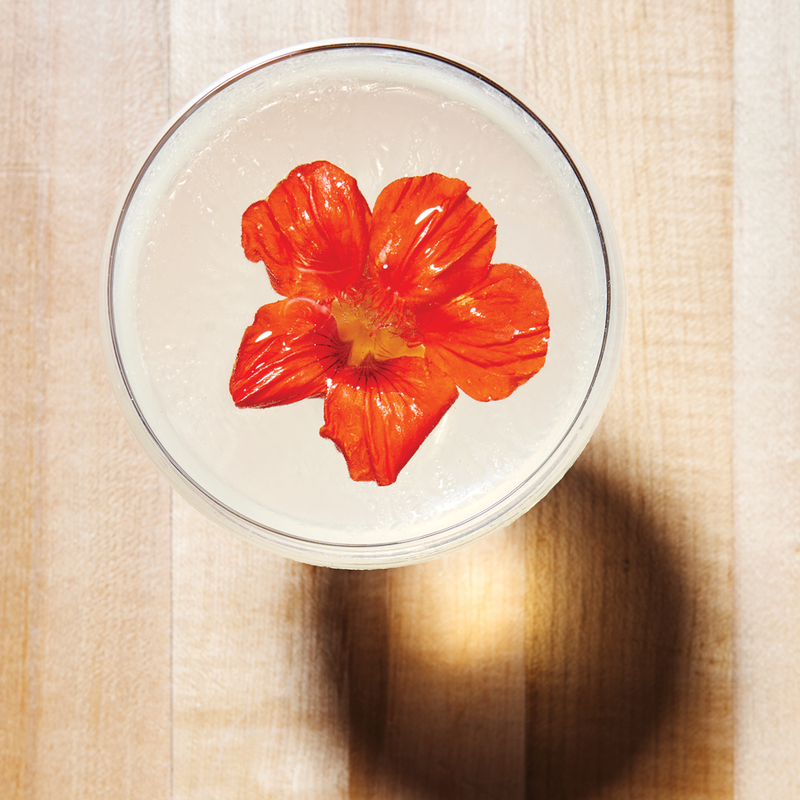 Bartender Matt Scott (another Optimist alum) and his crew have crafted a sophisticated cocktail program. The Importance of Being Ernest is a classic-style daiquiri made with Pilar blonde rum from Papa’s own estate, and A Pisco My Heart pairs pisco and Uncle Val’s botanical gin with lemon and chamomile. The long, narrow, previously gloomy space just off Decatur Square has had 10 prior occupants during the past two decades—none of whom was able to transform it successfully. With this most recent renovation, the room finally gets the overhaul it so badly needed. The atmosphere is bright and welcoming, thanks to classy touches such as a marble bar top and lots of blinding-white subway tiles. Some of the dishes can get a little discordant because the kitchen is tweaking recipes daily, but there is no doubting the sincerity and talent underpinning this restaurant. No critic would experience writer’s block describing how the White Bull makes excellent use of sustainably farmed produce and hyperlocal crops.